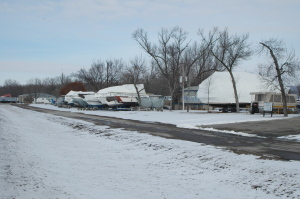 In a protected floating dock system with slips from 20 to 60 feet with tie-alongs to 90 feet, the "one price" slip rental includes 1-30 amp power hookup & potable water. 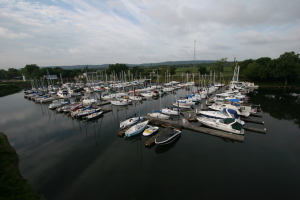 Some of our other features of Hansen's Harbor that you will enjoy are dock side parking, our clean hot showers, restrooms, picnic area, laundry facilities and pet walking area all near your slip. 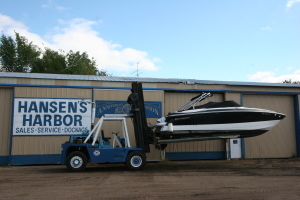 *Daily in & out service via forklift. 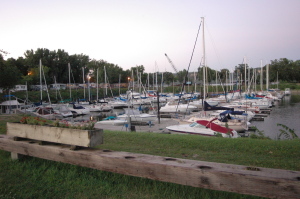 *Your boat is gently lifted from it's rack and placed in the water. Transient slips are always available for our traveling boater friends. 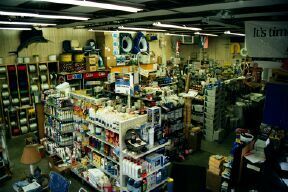 Come by Hansen's to check out our wonderful selection of boating supplies.